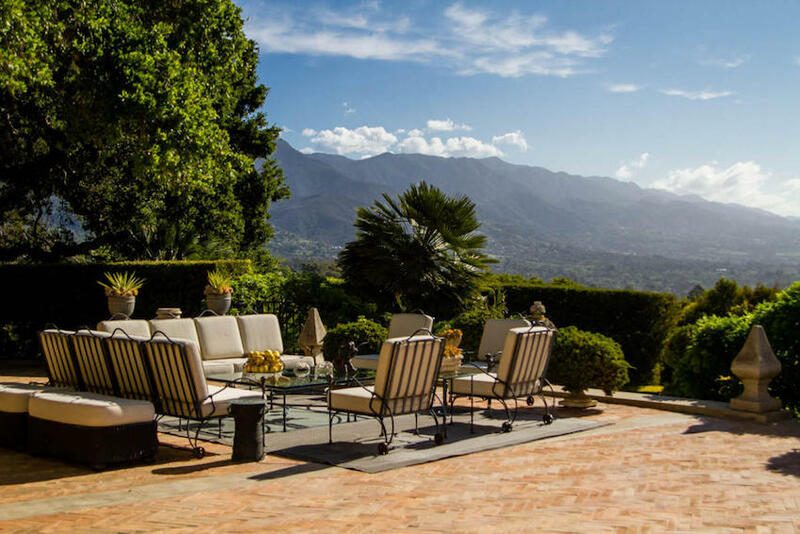 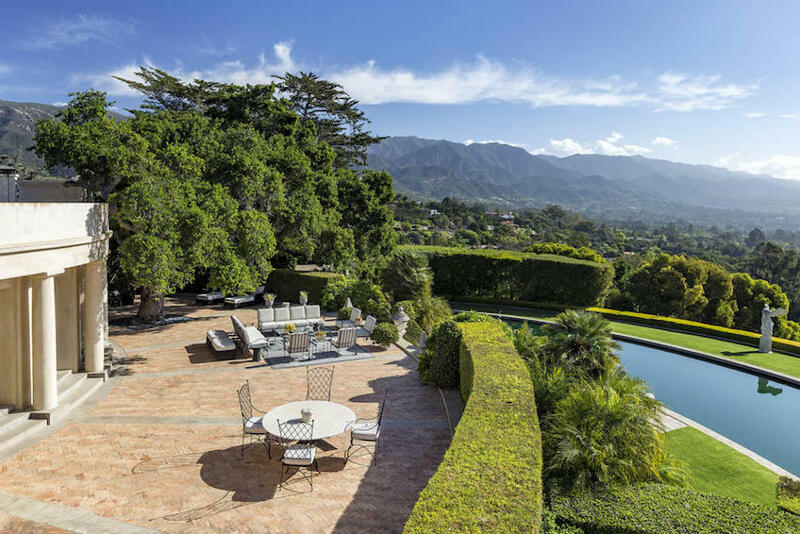 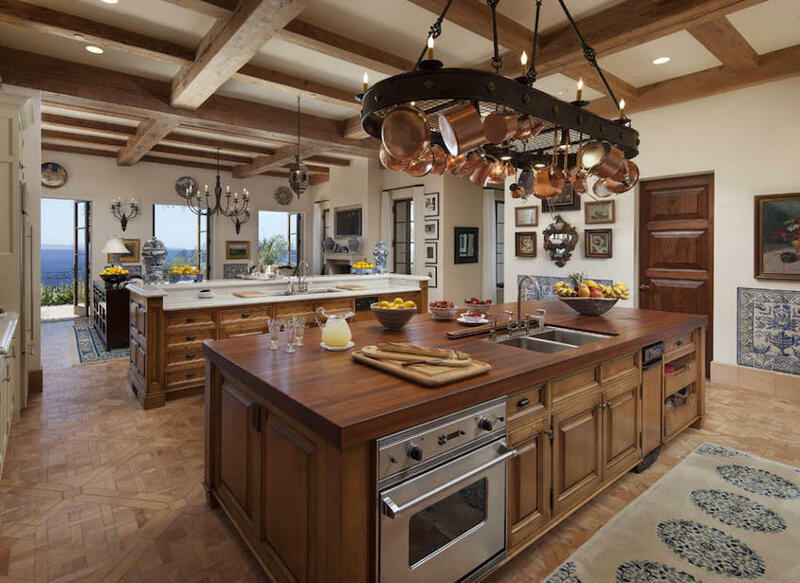 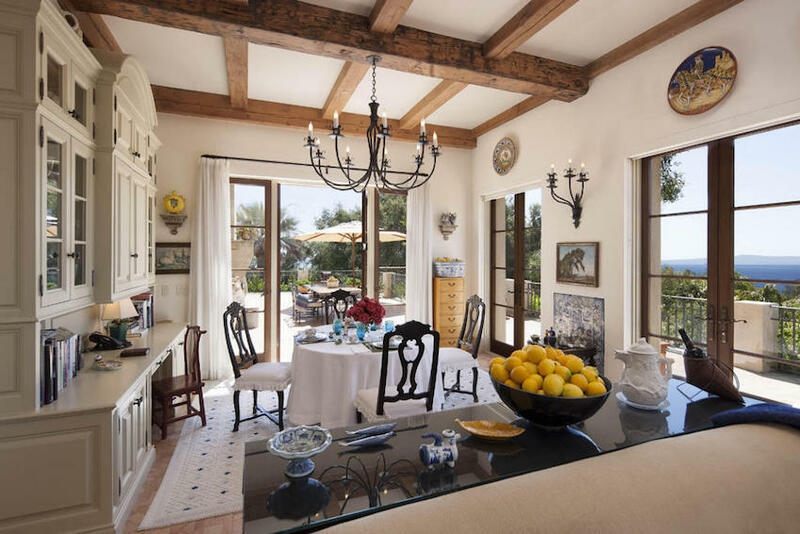 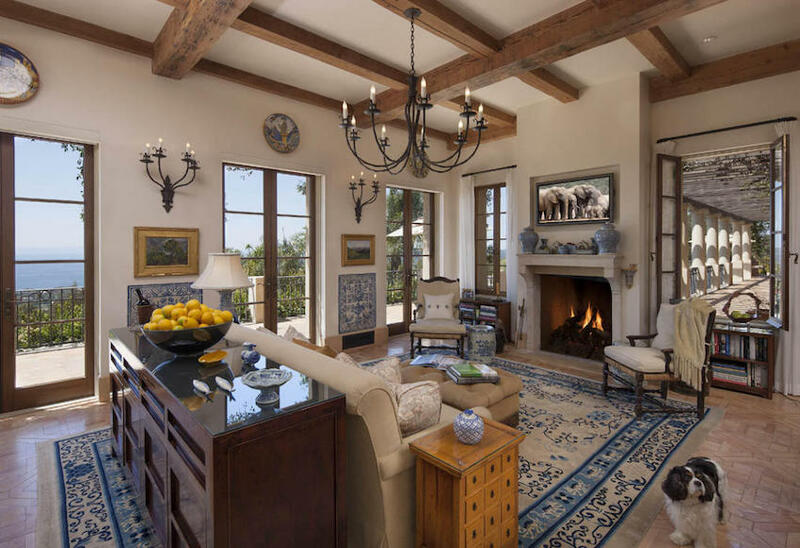 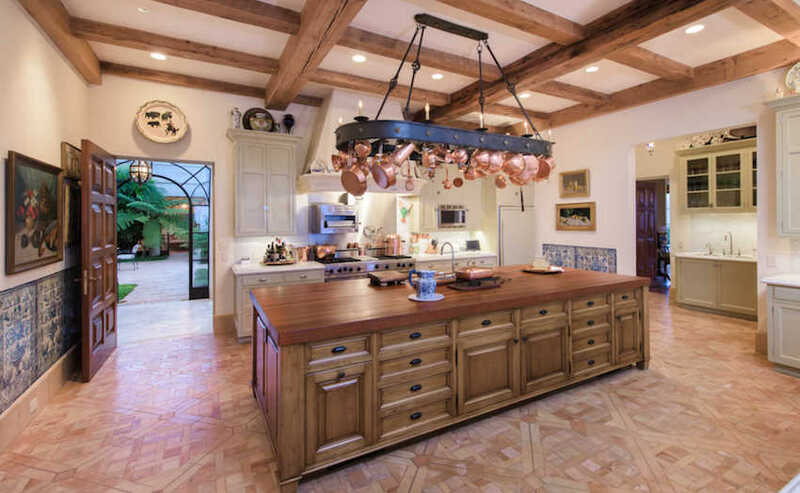 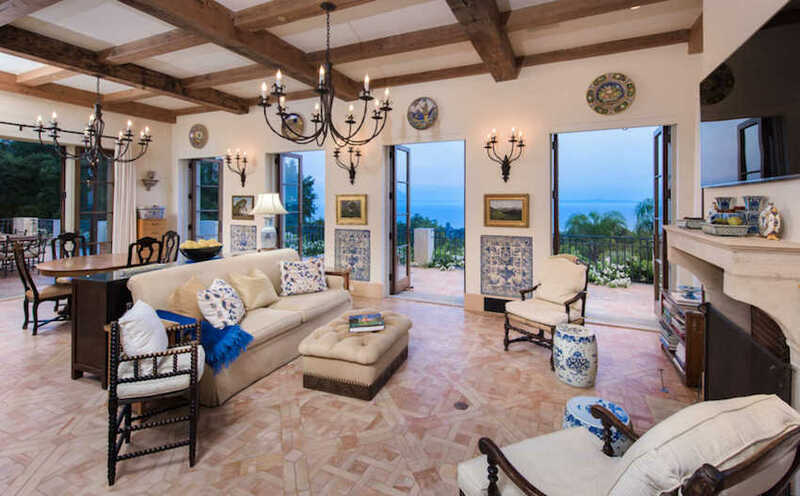 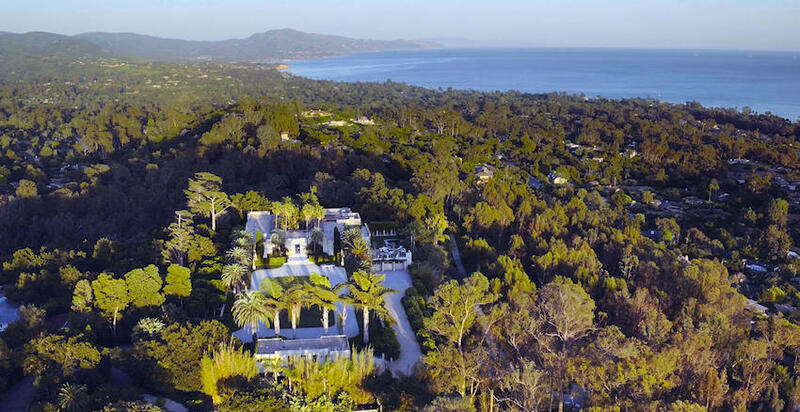 A substantial historic hilltop property in Montecito, California is slowly creeping down in price in hopes of finding a buyer. 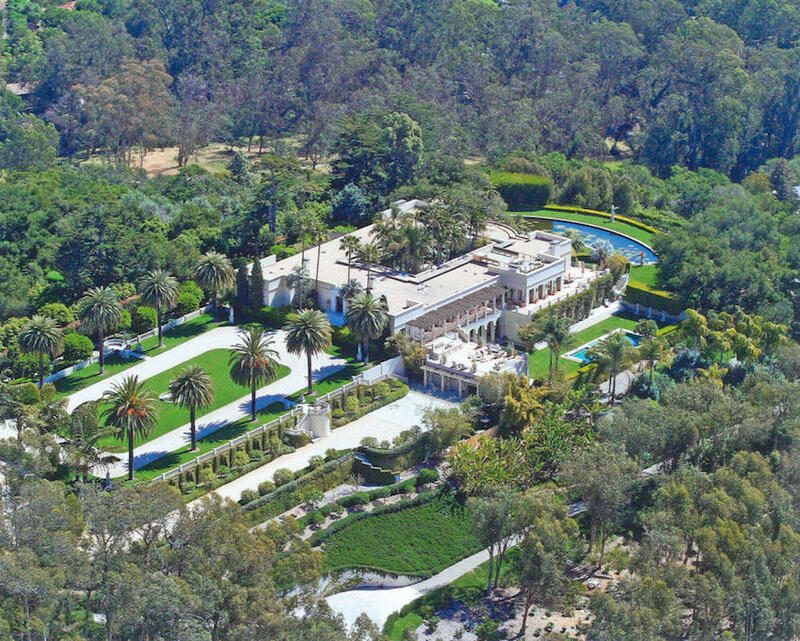 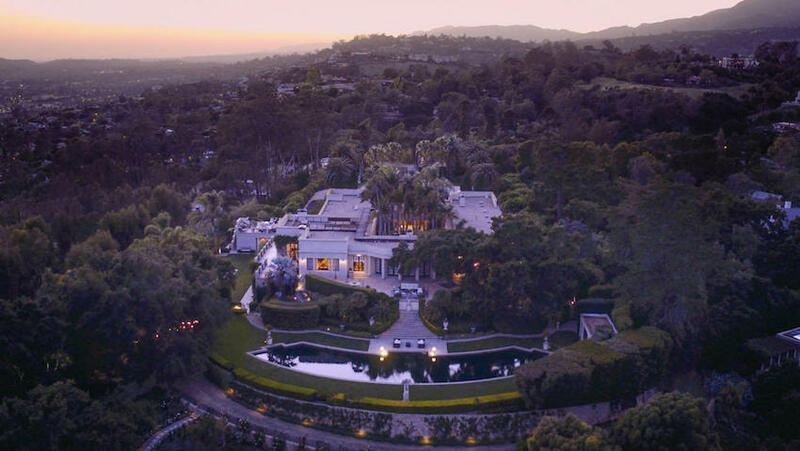 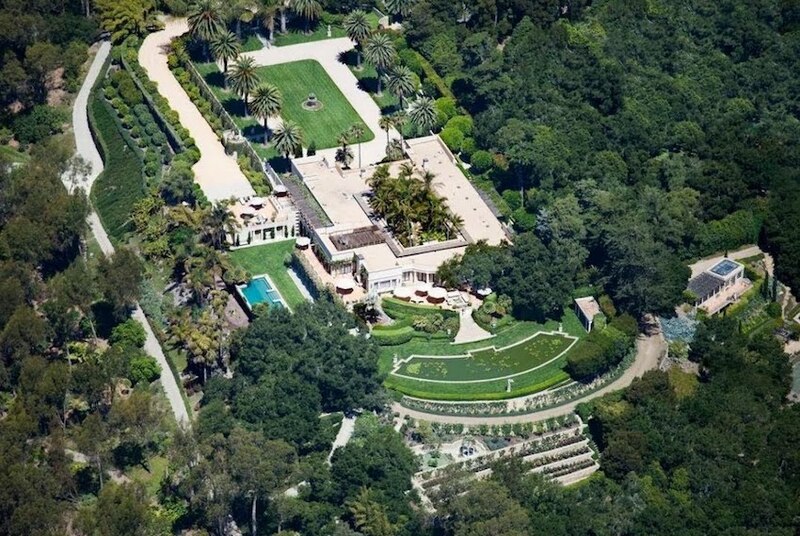 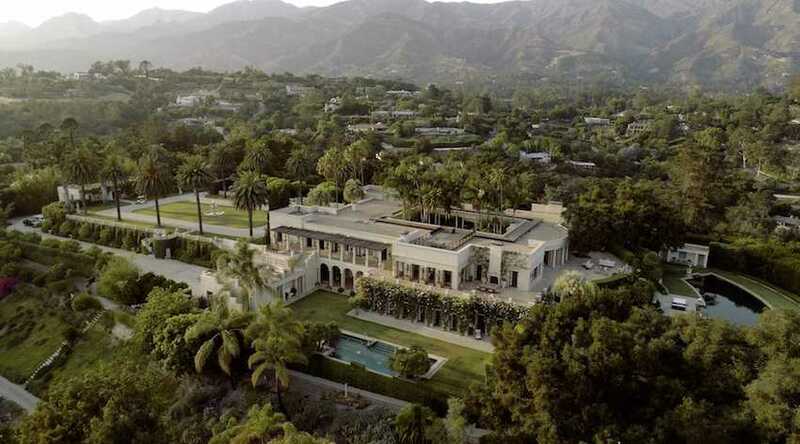 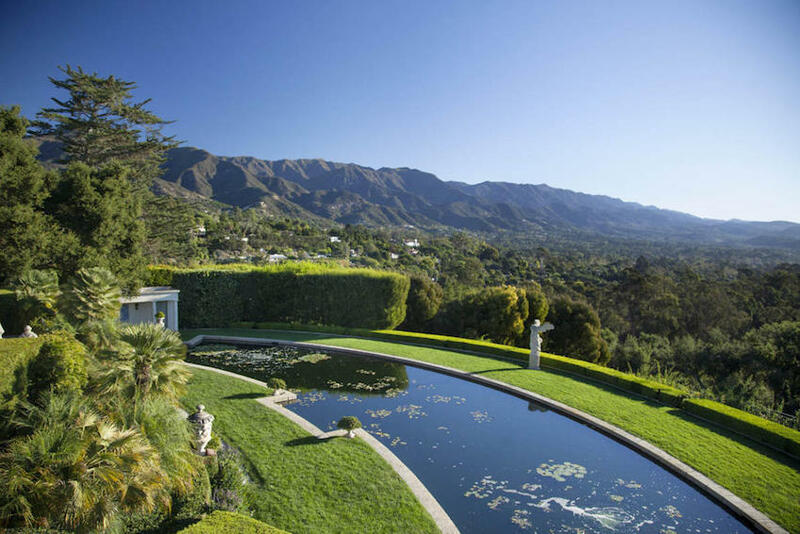 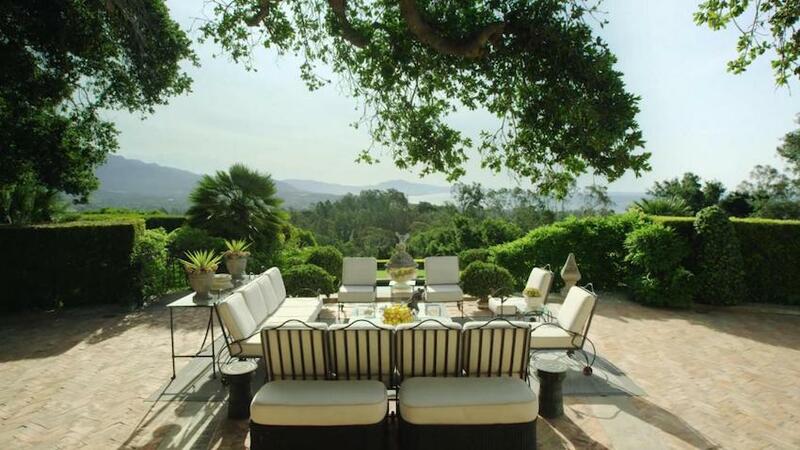 The 11.29 acre estate was previously listed as much a $57,700,000 before dropping to $49,000,000 in early 2014. 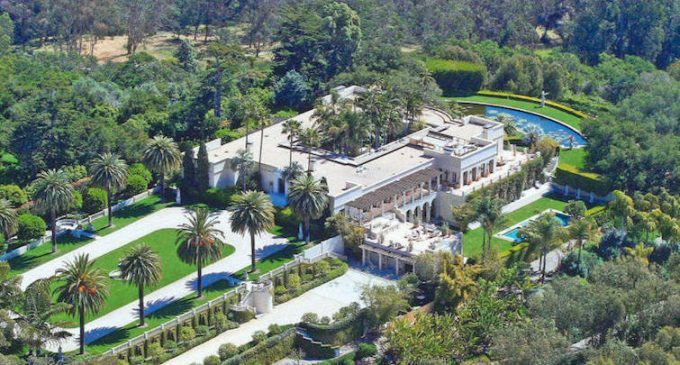 It dropped to $39,000,000 in mid-2016 and was just reduced once more to $36,890,000. 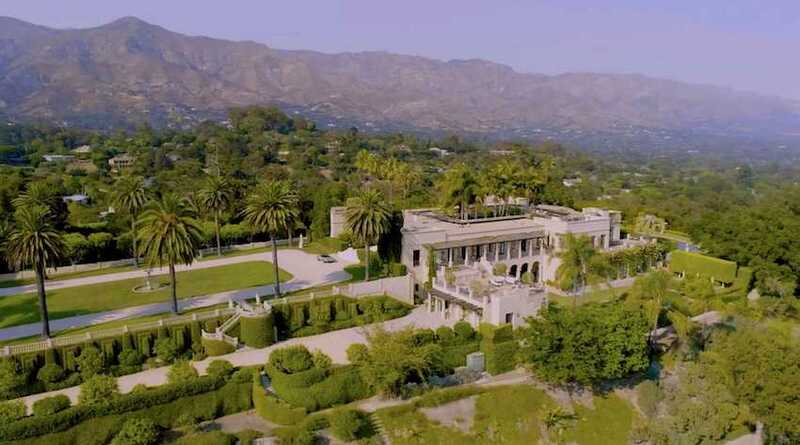 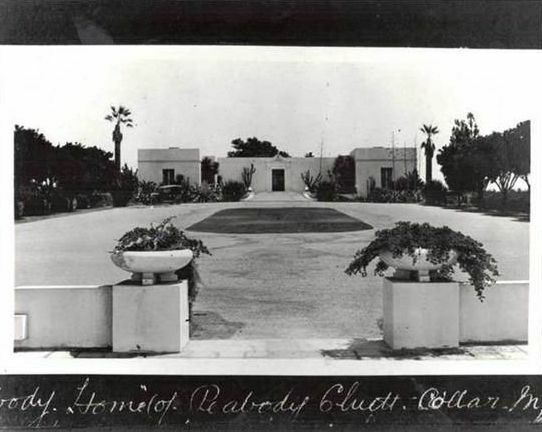 It’s known as Villa Solana and was designed c.1914 by Francis T. Underhill for Frederick Forrest Peabody, a prominent businessman. 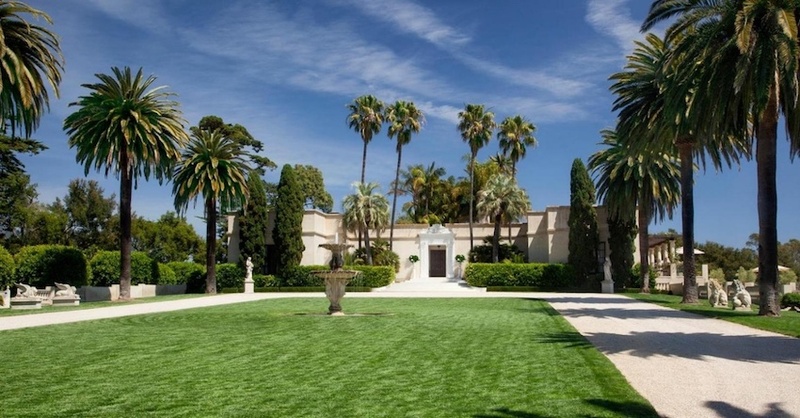 According to Forbes, the historic villa was in a state of disrepair when owners Bill and Sandi Nicholson purchased it in 1999. 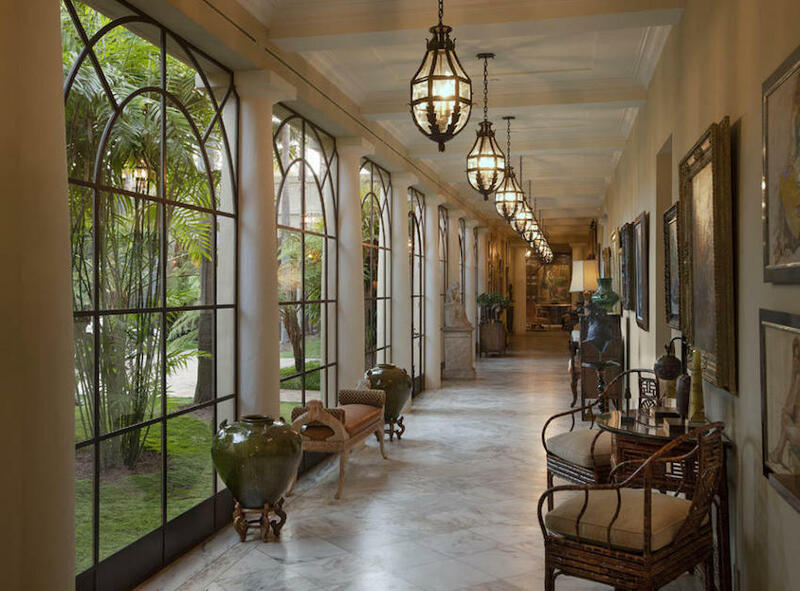 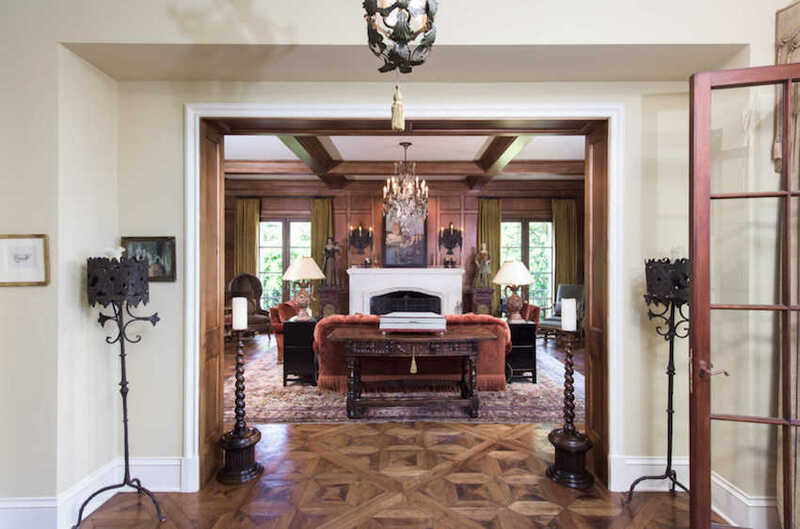 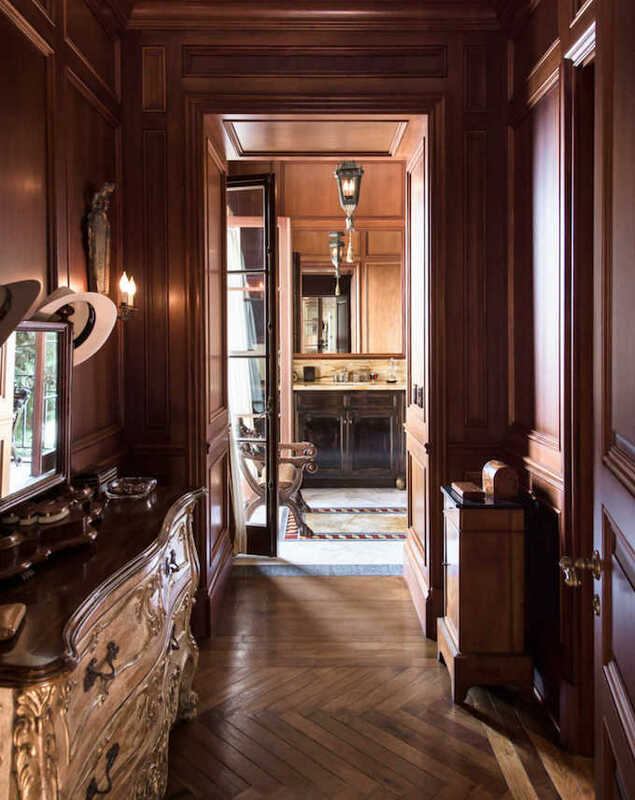 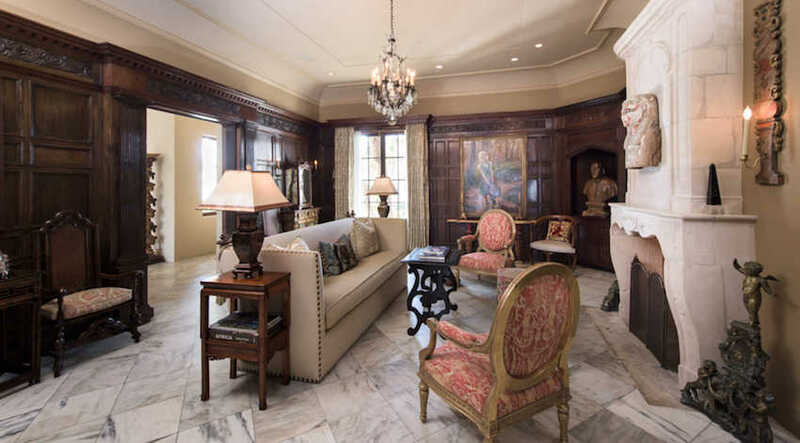 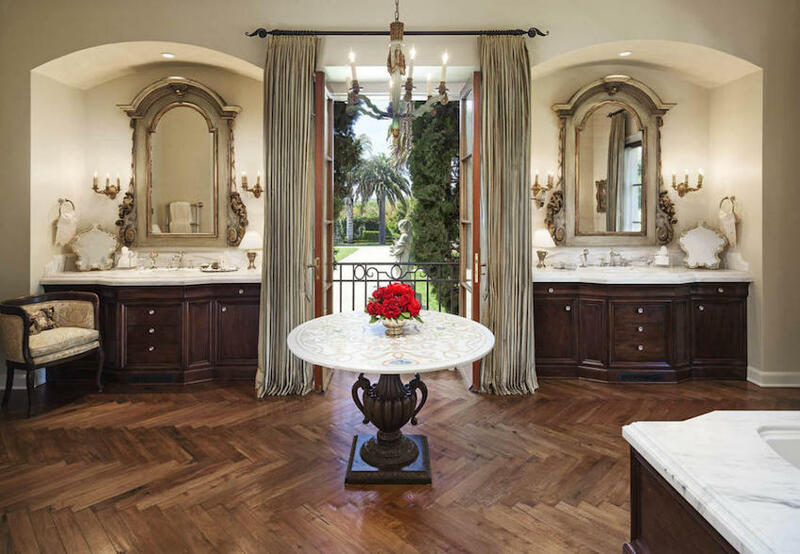 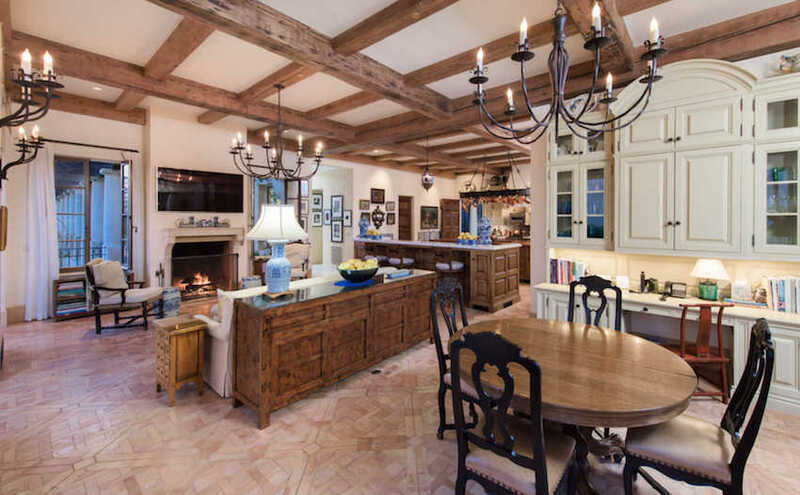 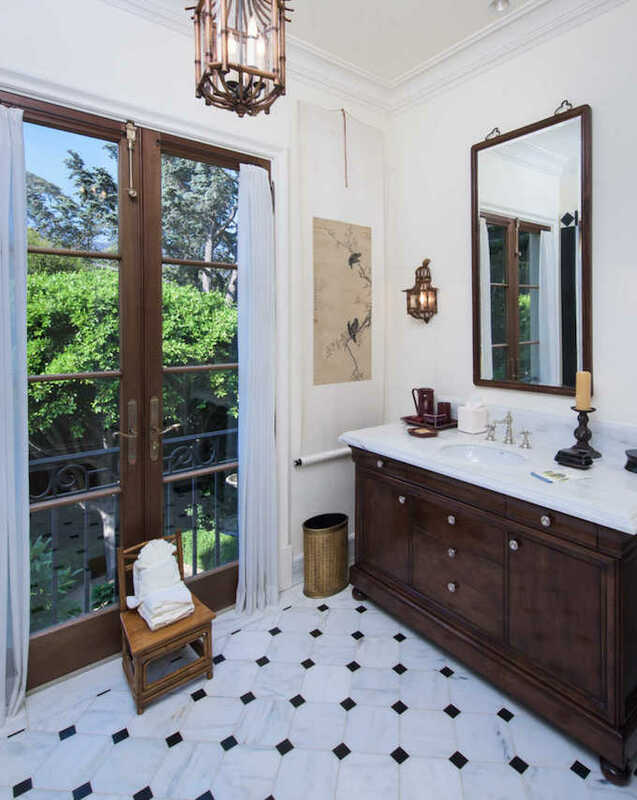 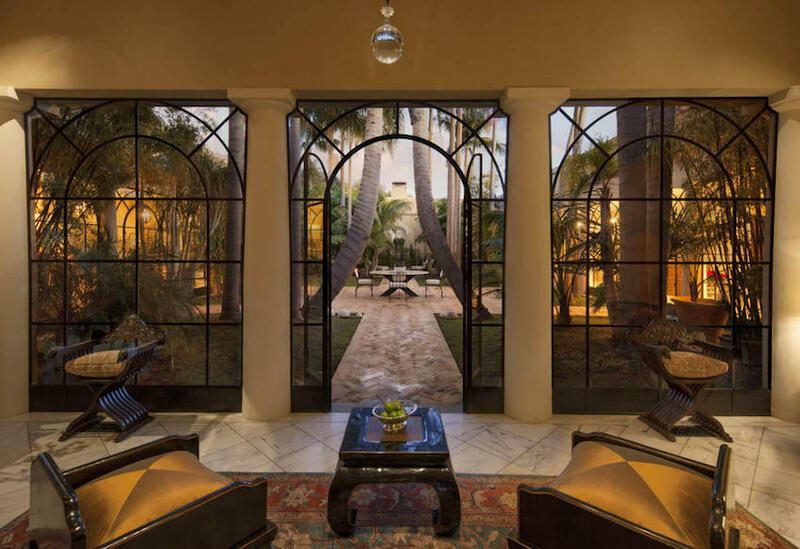 The 22,000 square foot residence underwent an extensive three year restoration, preserving its historical integrity while infusing the property with the refined details and world-class amenities of a modern day masterpiece. 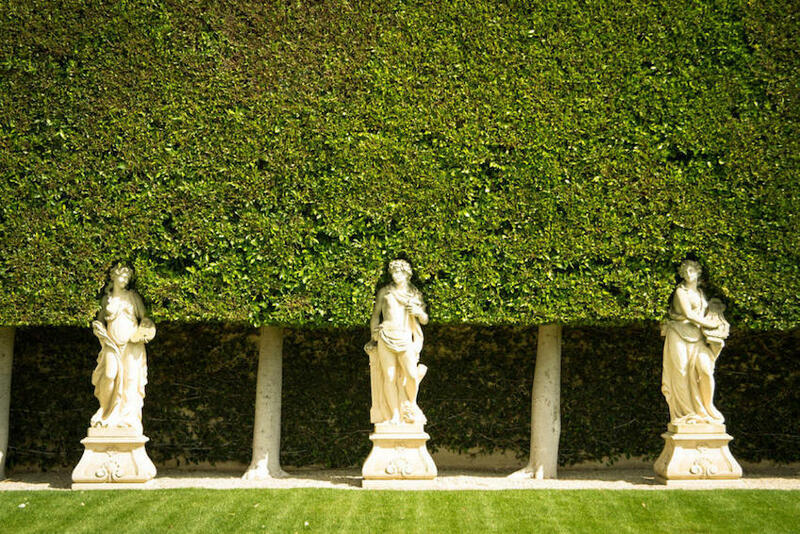 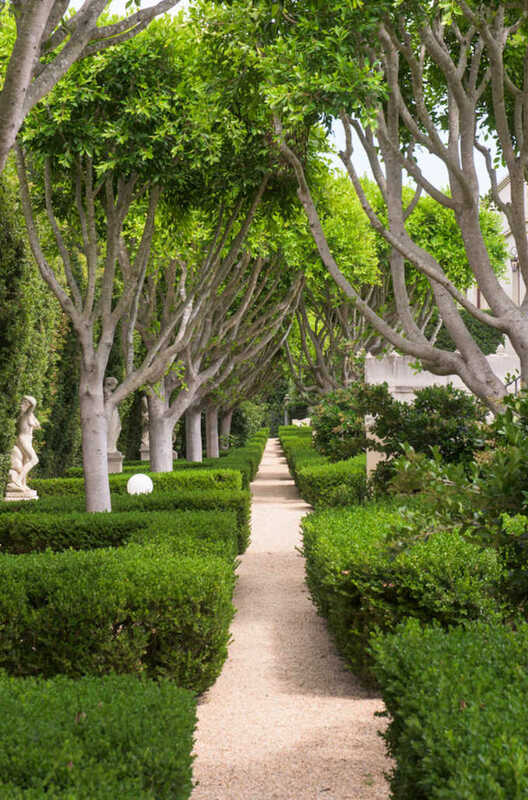 The grounds, gardens and extensive landscape were restored over a span of 15 years. 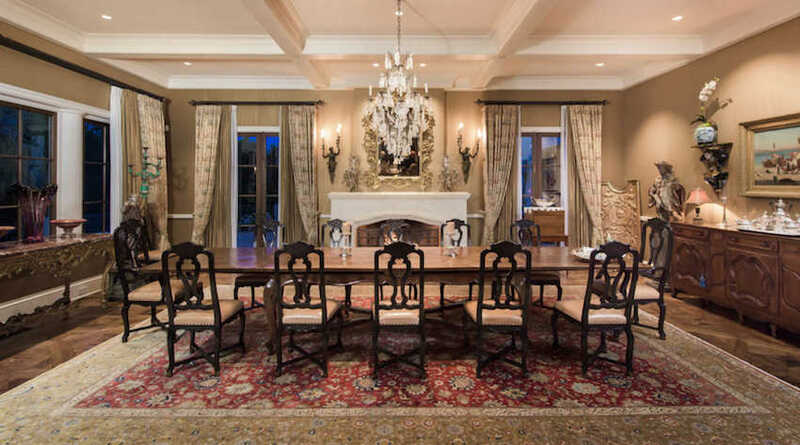 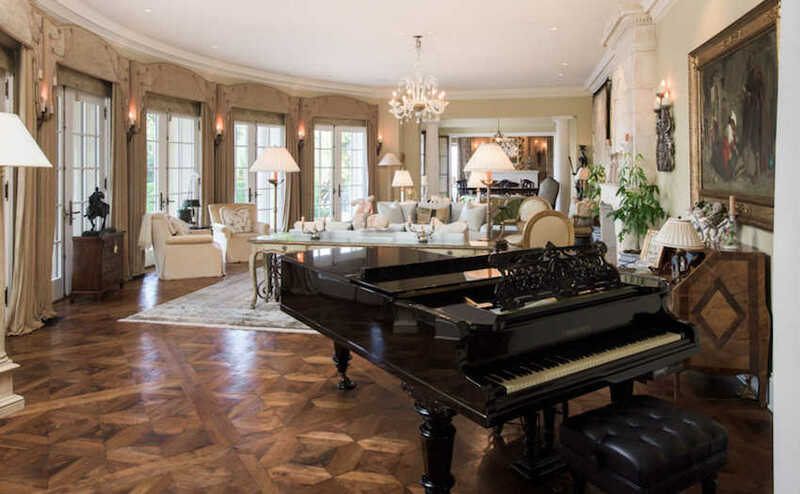 The 22,729 square foot floor plan includes exquisitely conceived living, dining and entertaining spaces with an open, chef-caliber kitchen with a beamed ceiling salvaged from a pre-WWII hangar, plush theatre, beauty salon, fitness centre, wine room, formal library with coffered ceilings and wood-panelled reception room resurrected from a French oak boiserie that belonged to William Randolph Hearst. 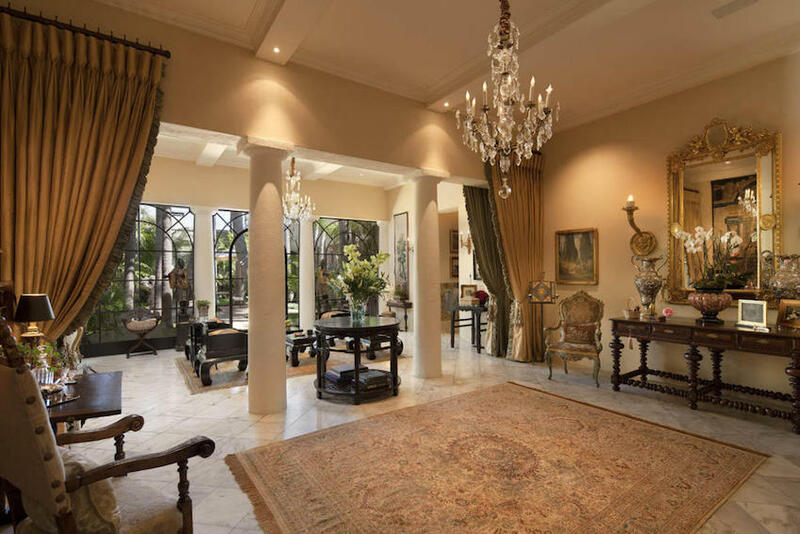 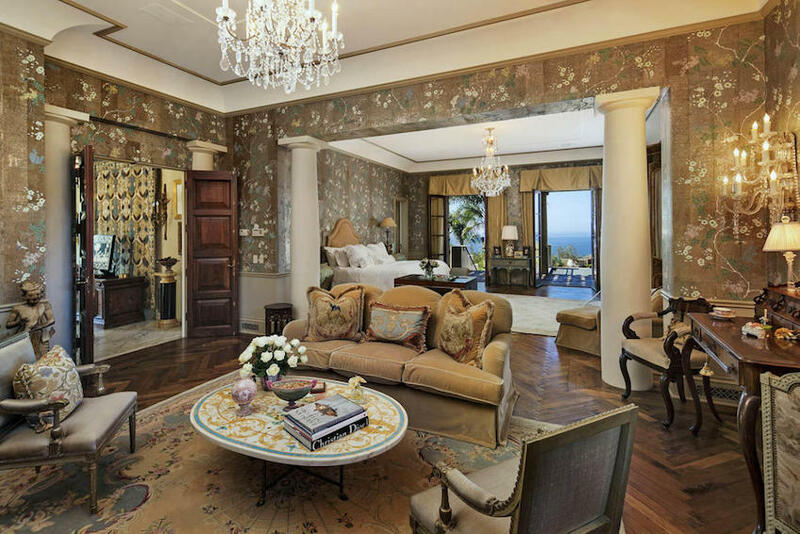 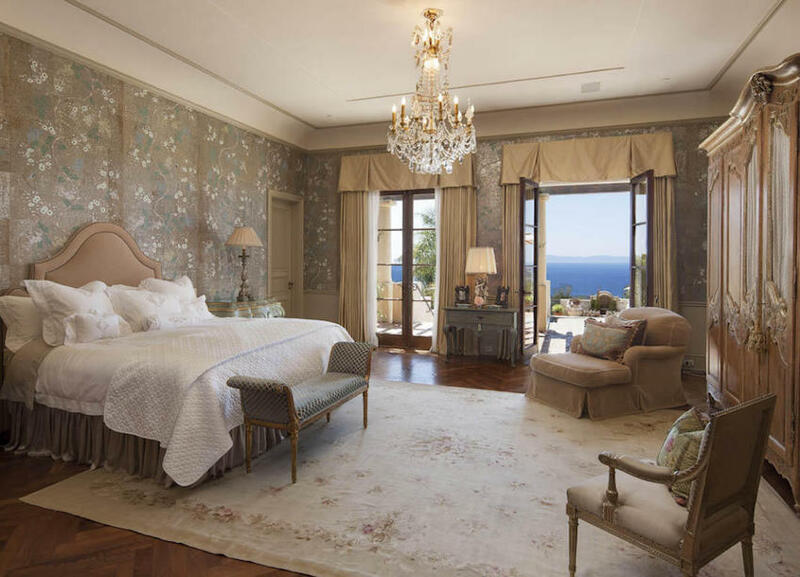 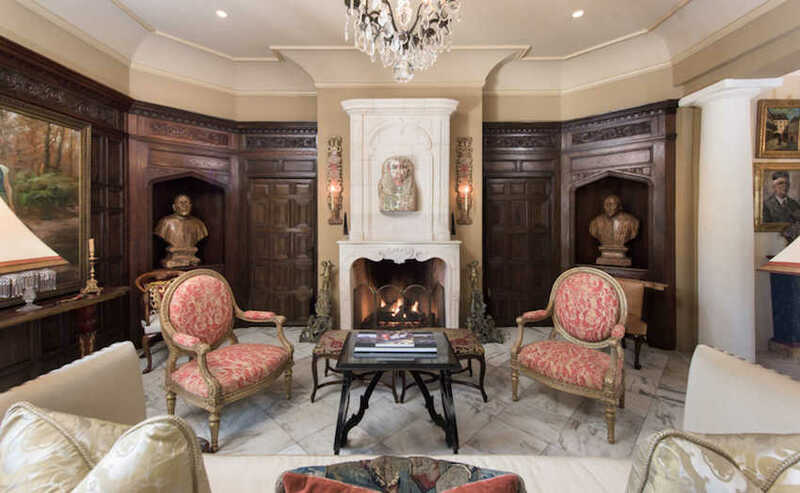 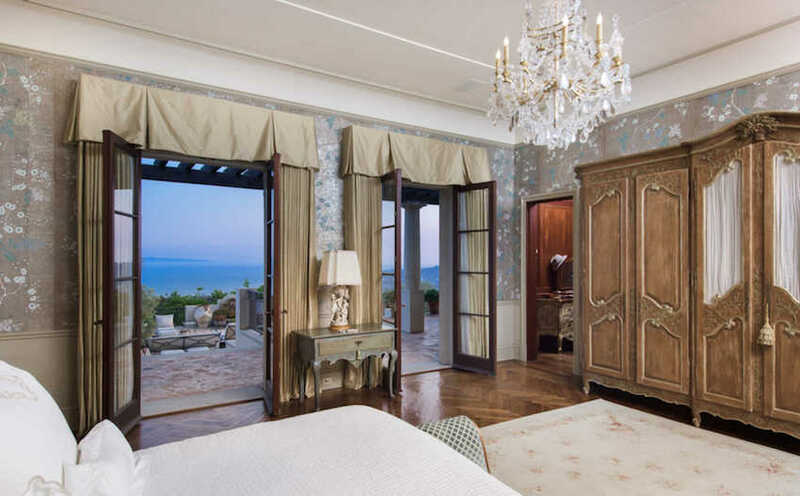 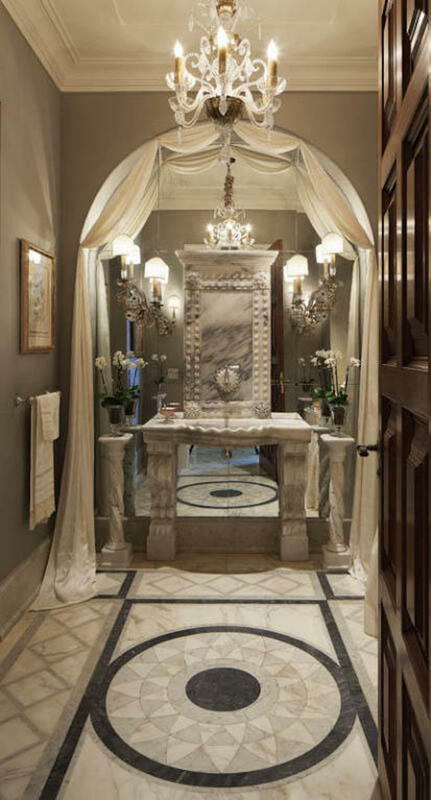 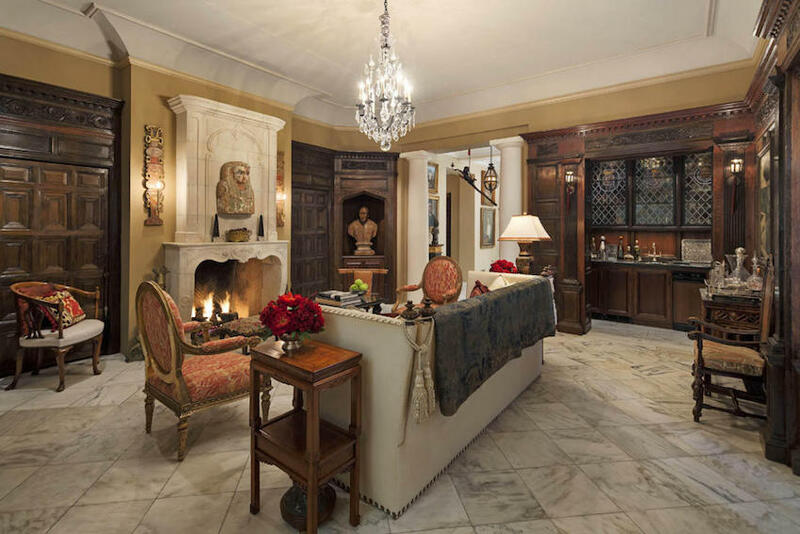 There are seven bedrooms and twenty bathrooms, including an opulent master suite with 18th century French limestone fireplace, antique crystal chandelier, dual bathrooms and closets by White House wardrobe designer Programme Martine. 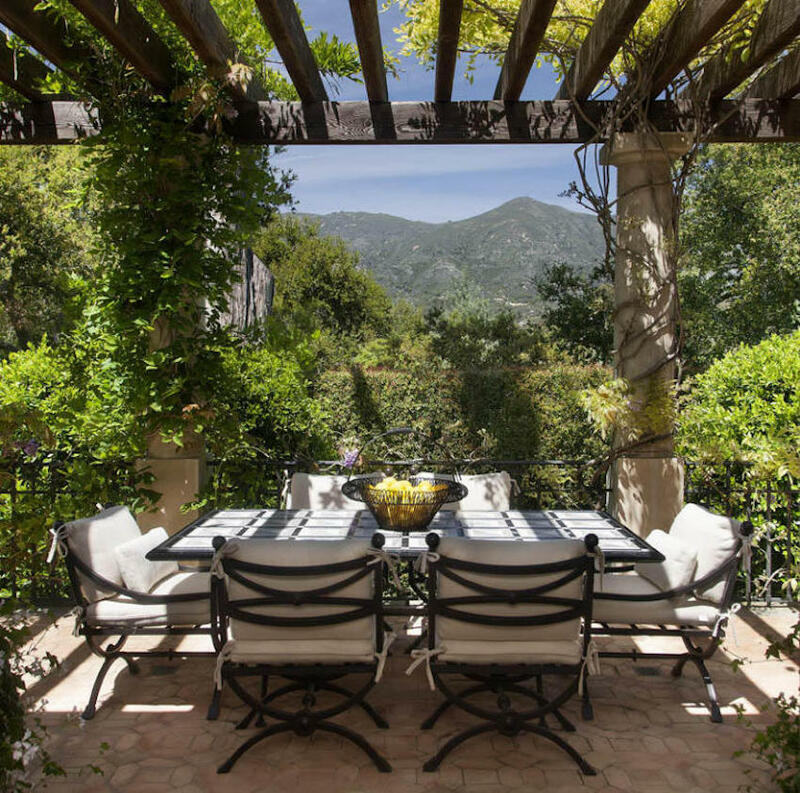 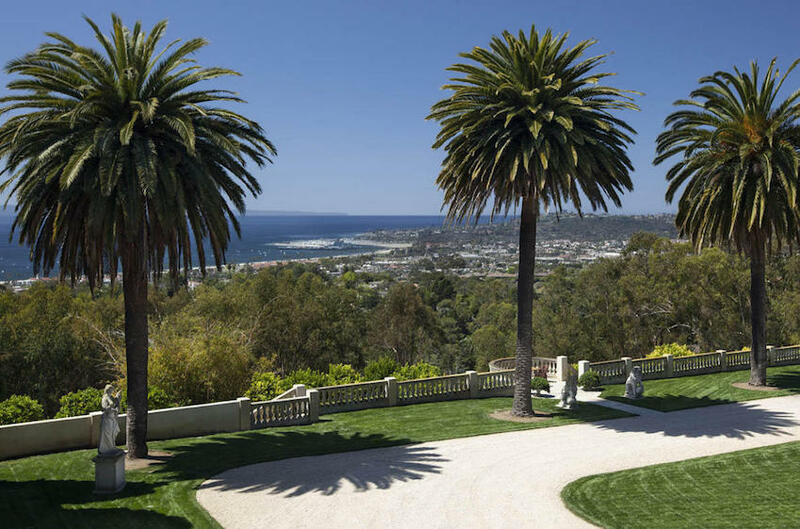 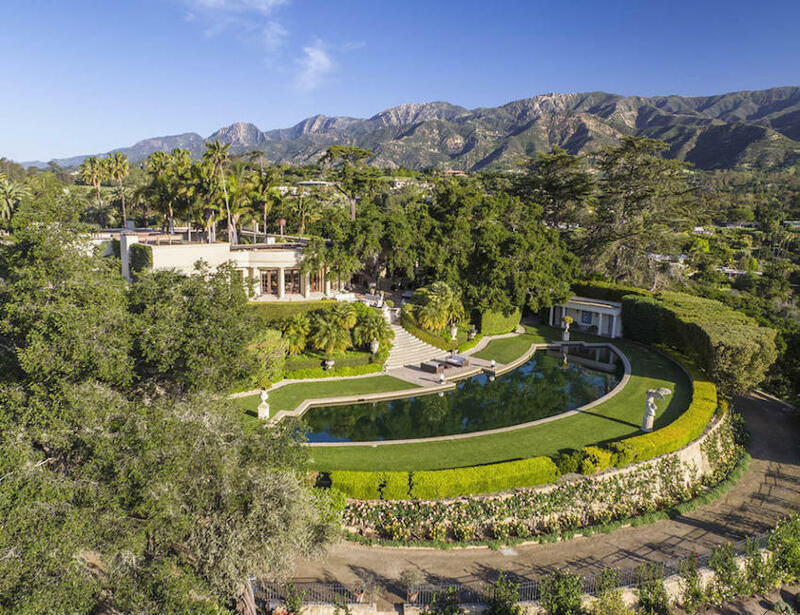 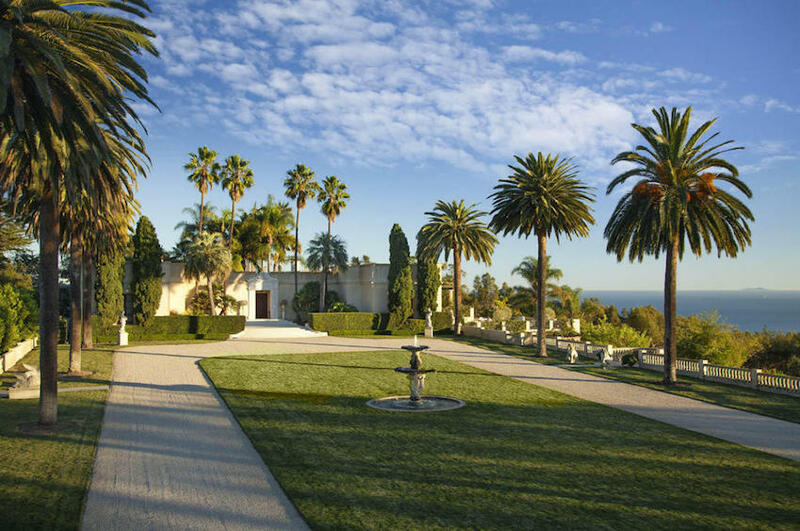 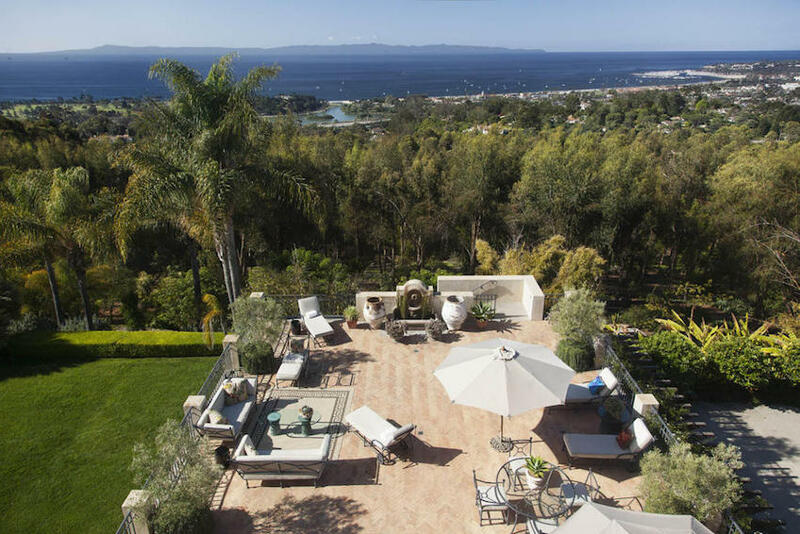 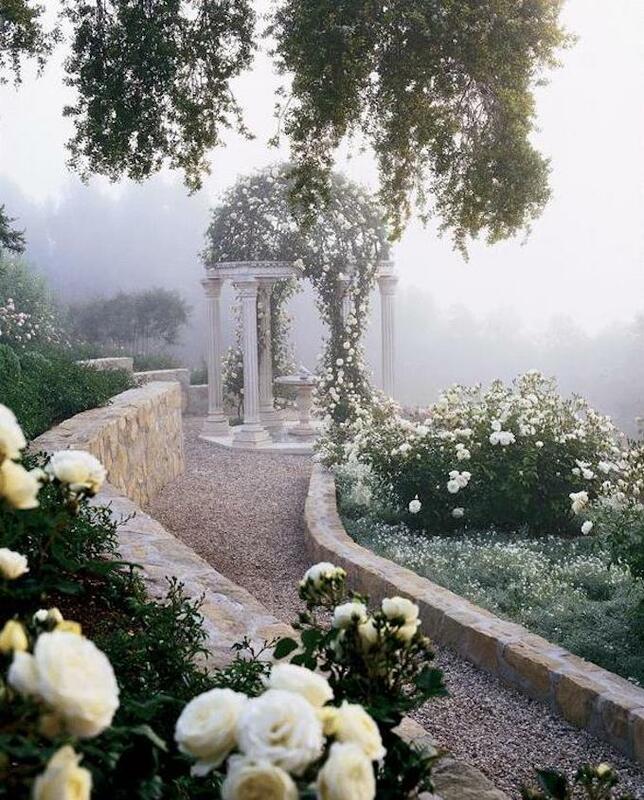 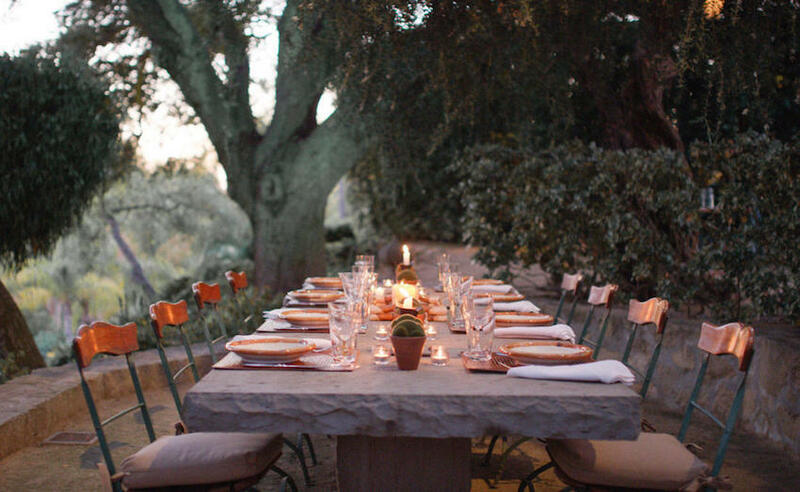 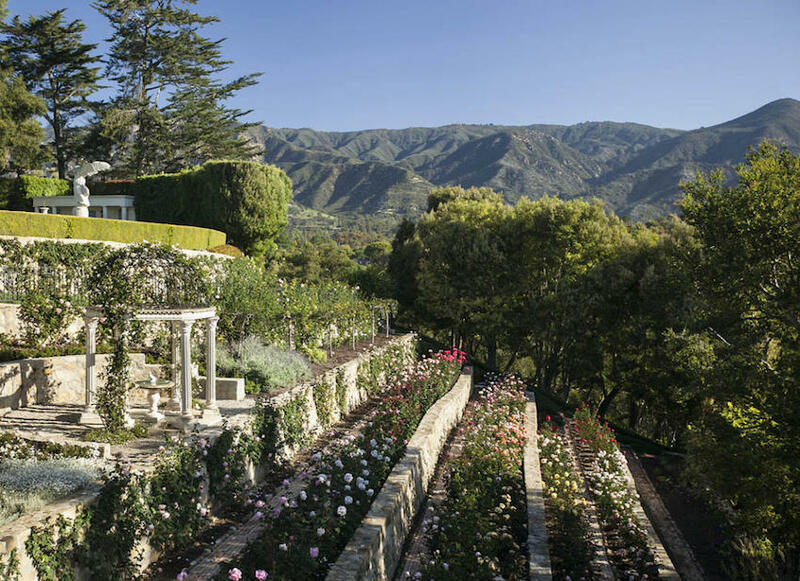 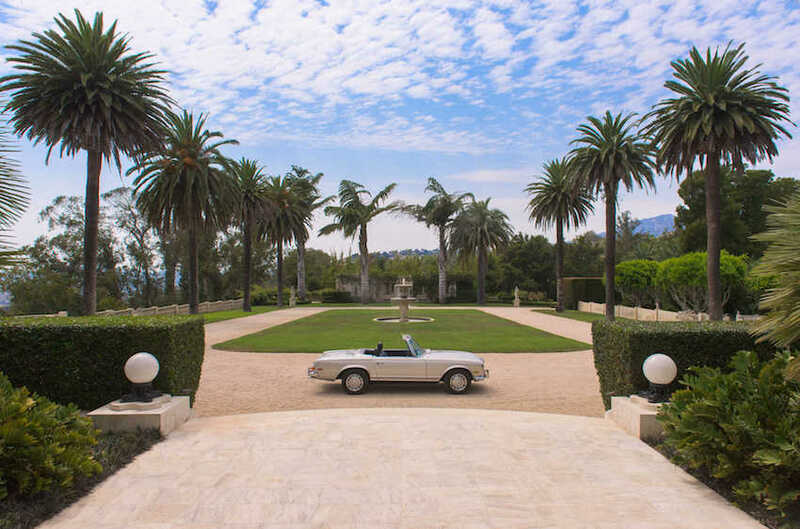 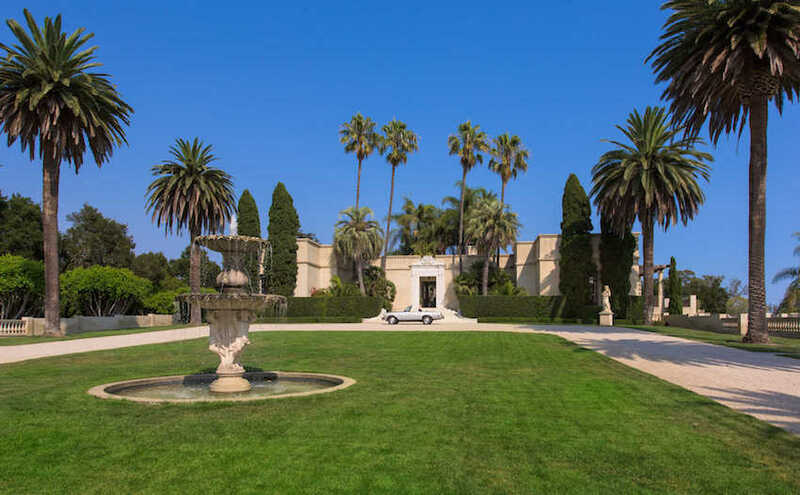 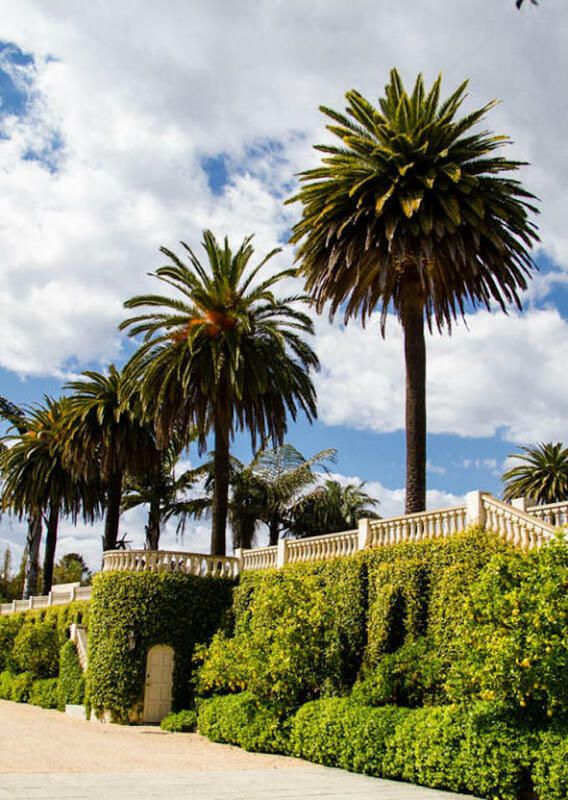 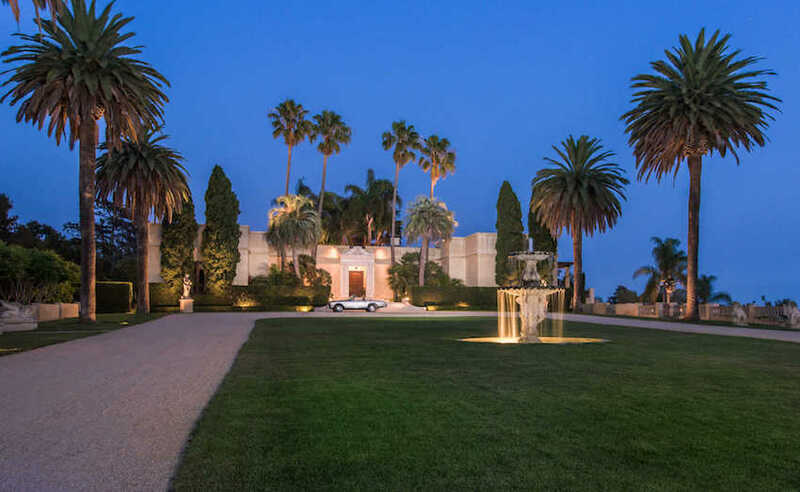 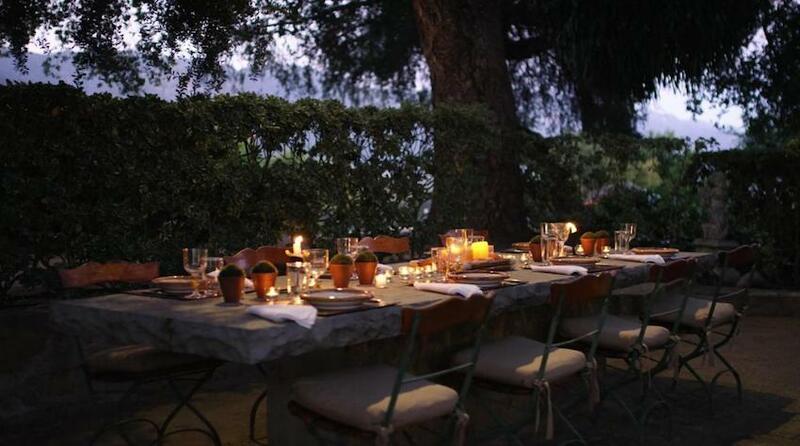 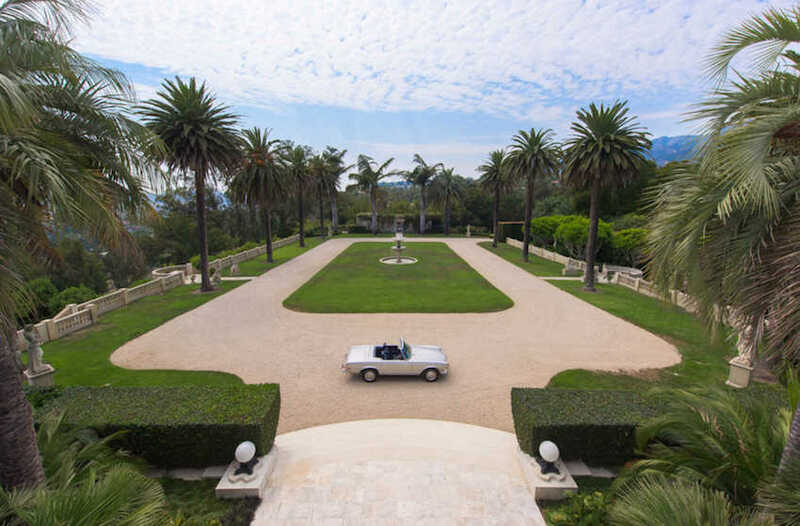 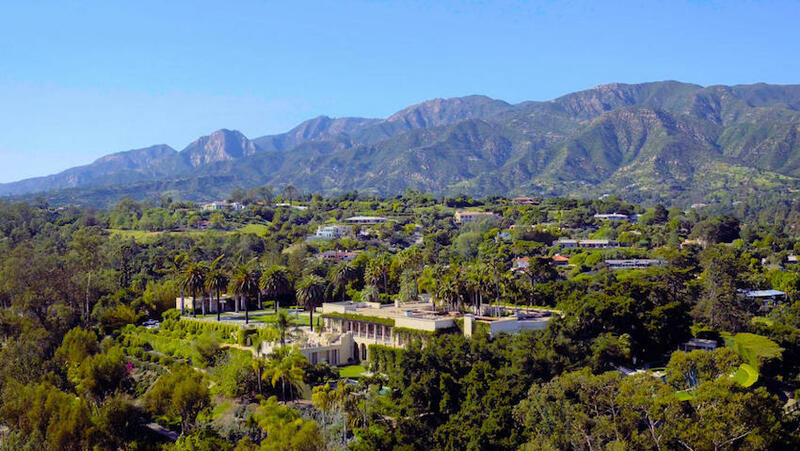 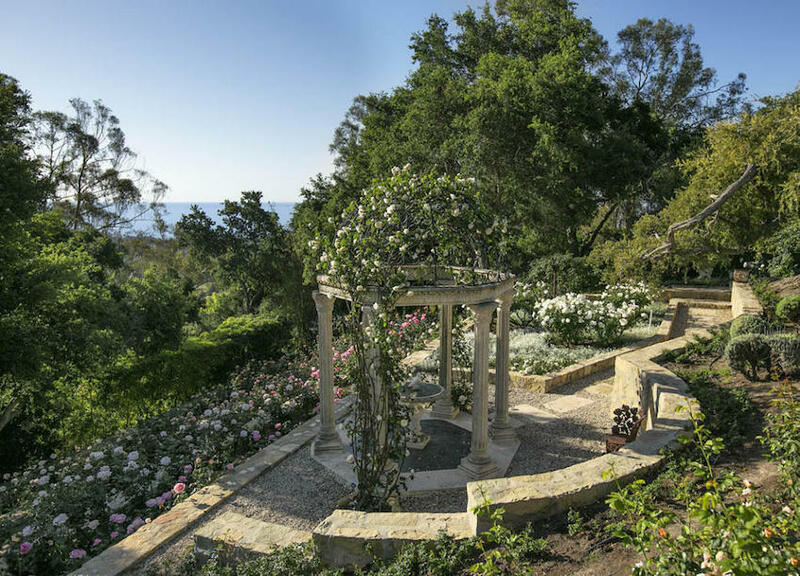 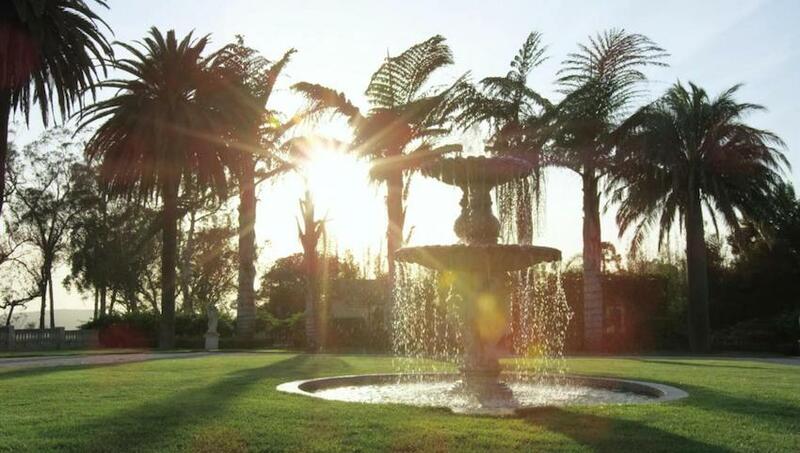 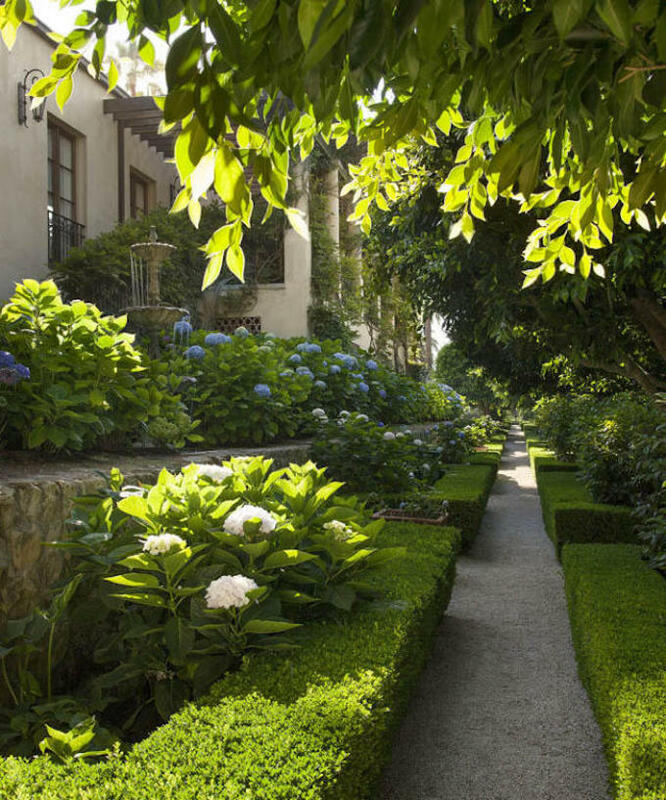 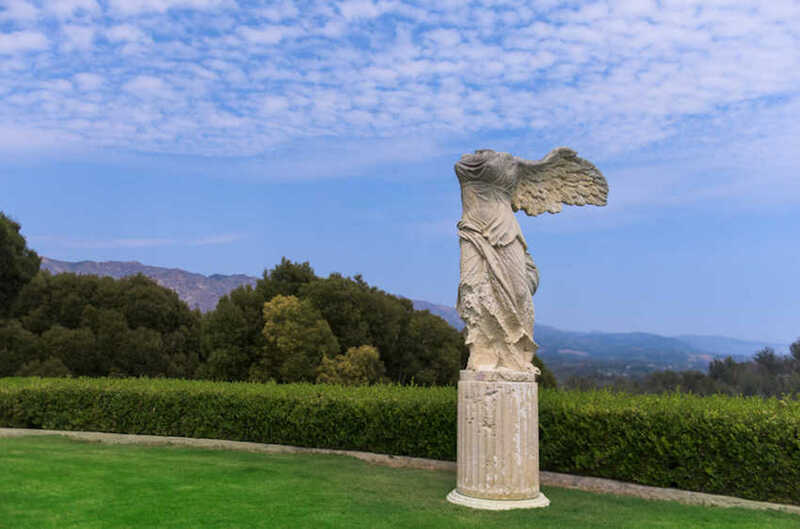 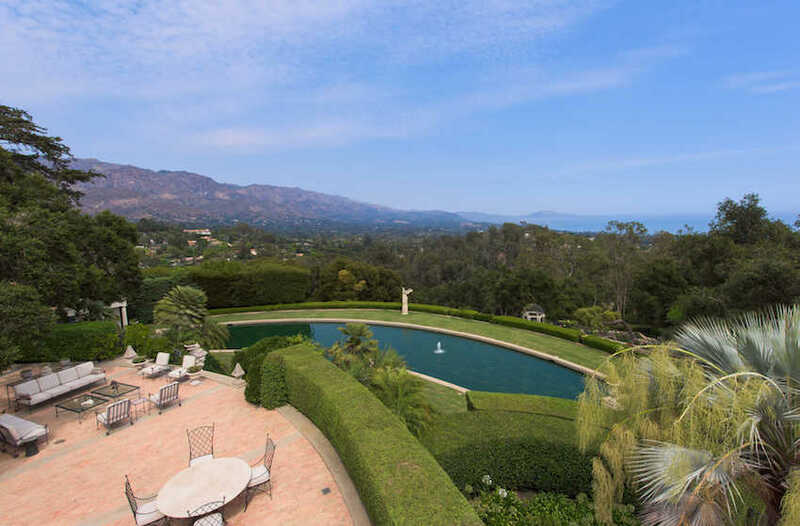 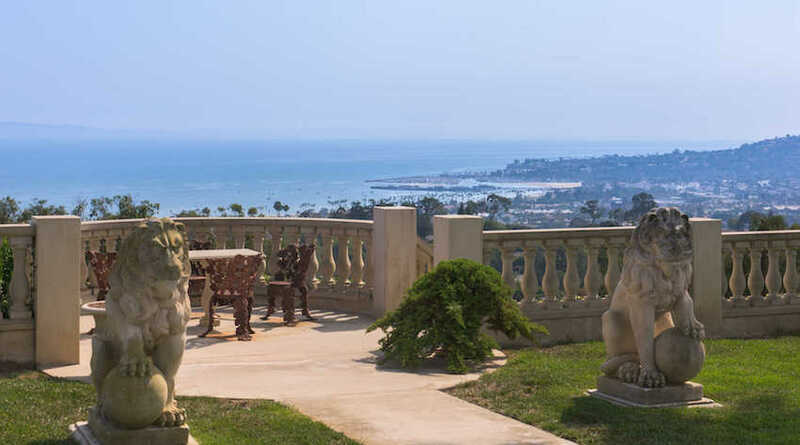 Impeccably maintained grounds include expansive loggias, a statuary, turtle pond, swimming pool and one of the finest botanical gardens in the Santa Barbara area, with over 200 fruit trees, 500 rose bushes and a 19th century European limestone pergola. 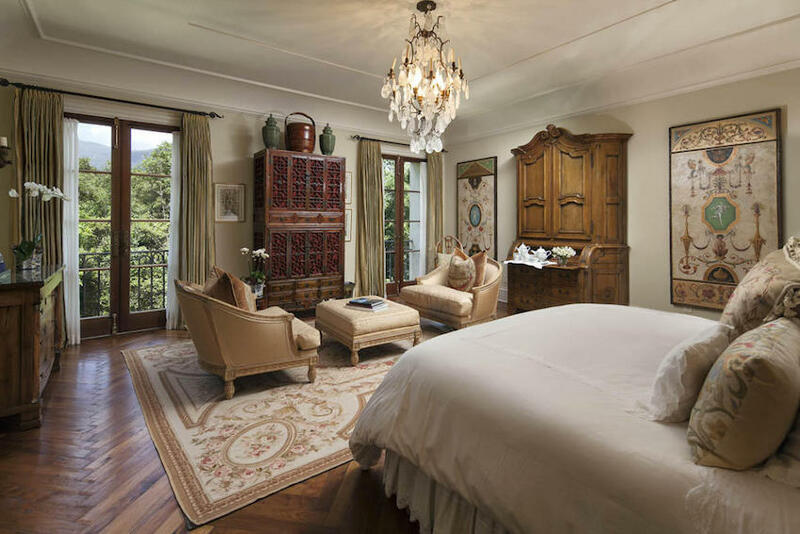 The property also includes a fully equipped, two-bedroom guest house and staff apartment. 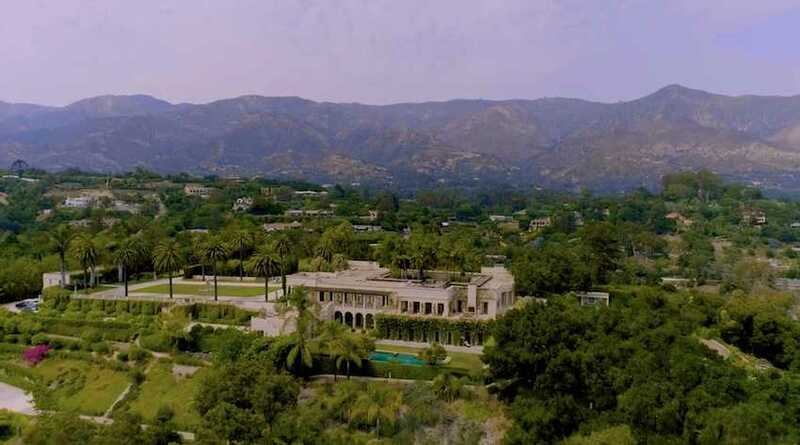 Notable guests are said to have included John F. Kennedy and Martin Luther King. 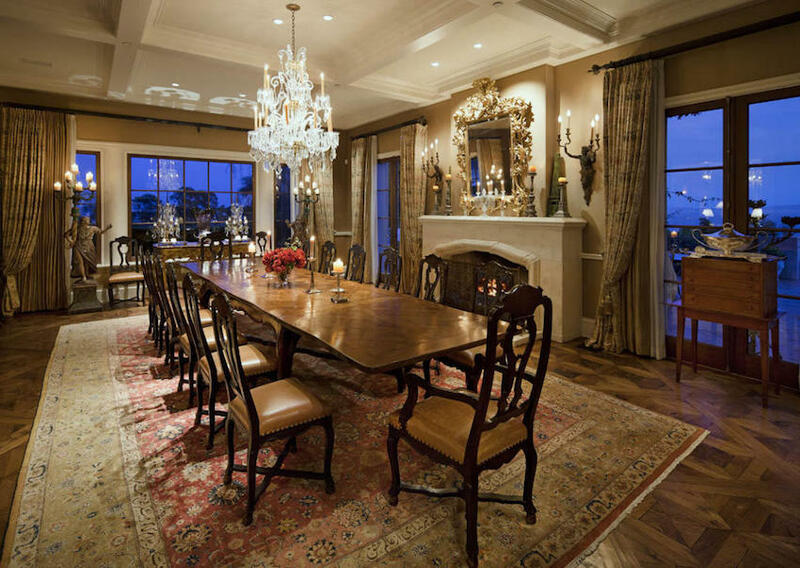 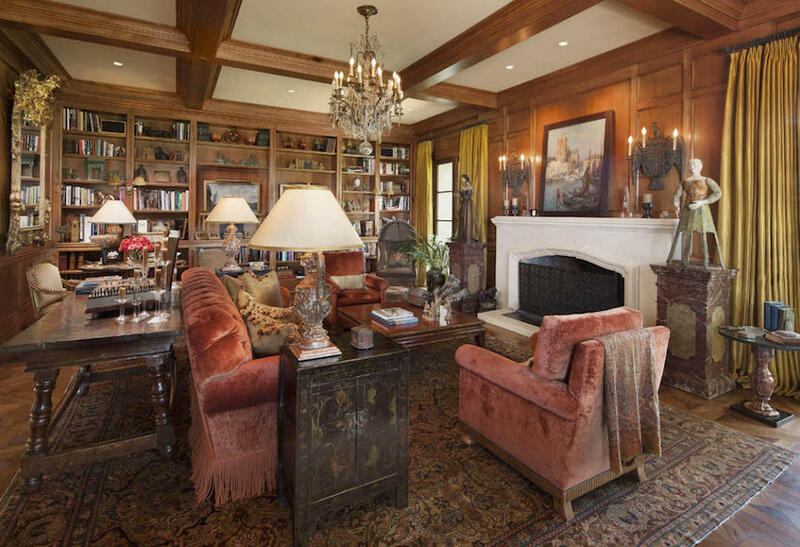 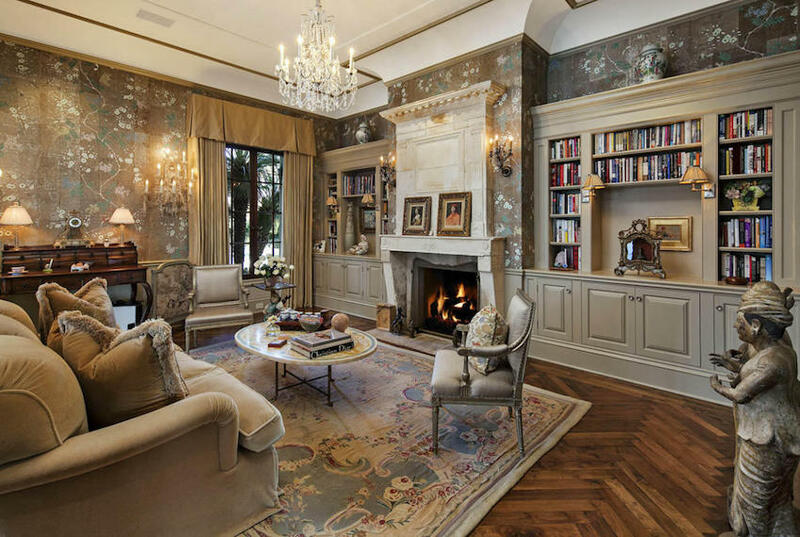 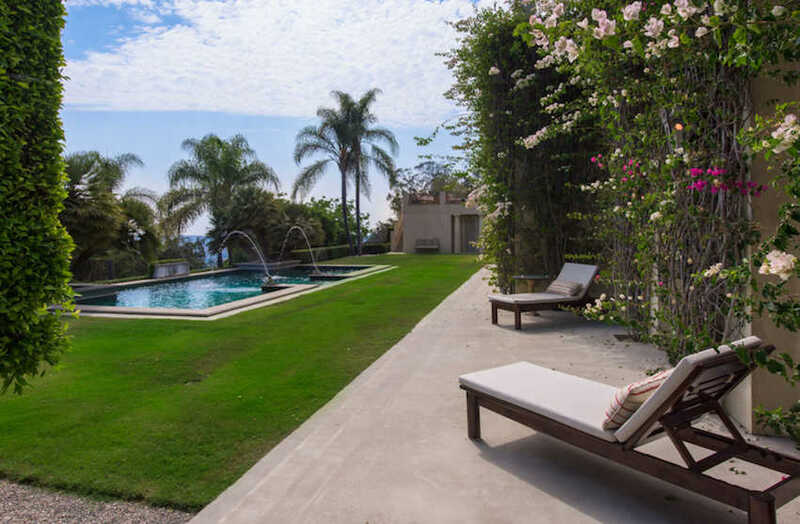 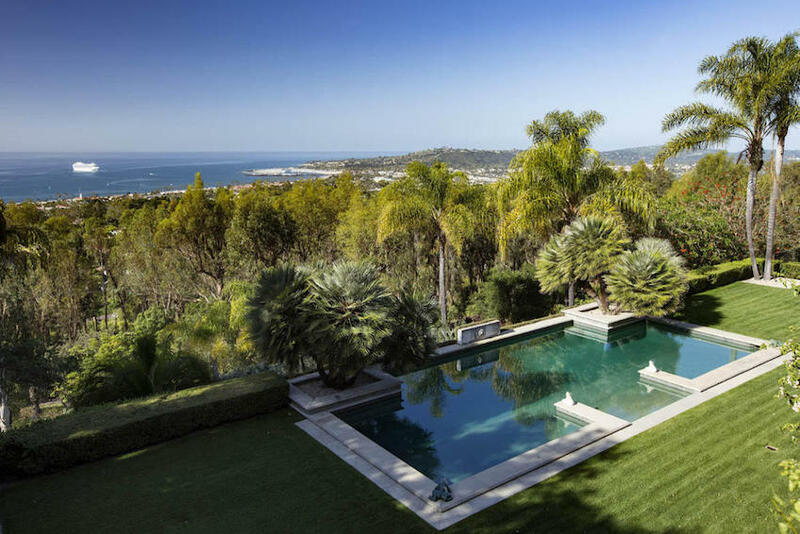 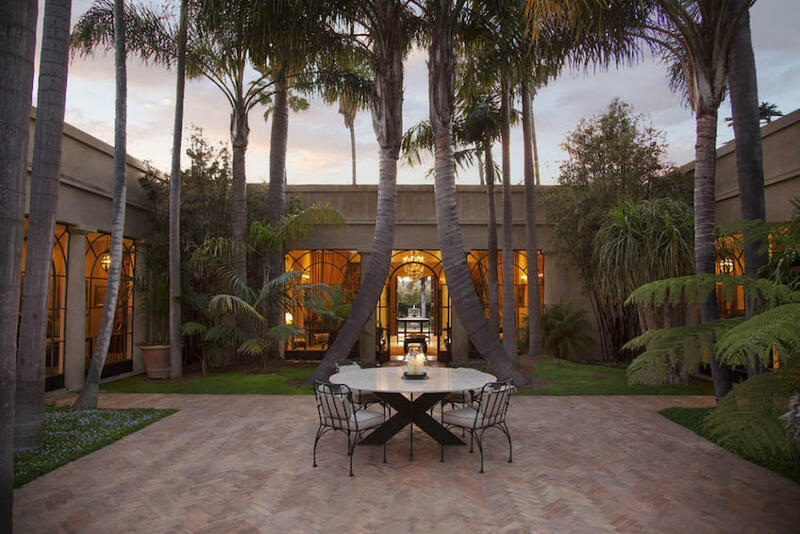 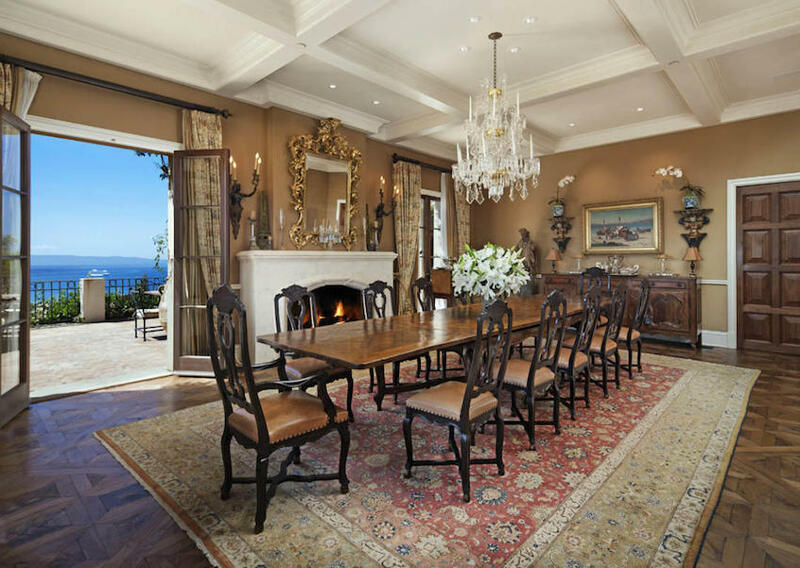 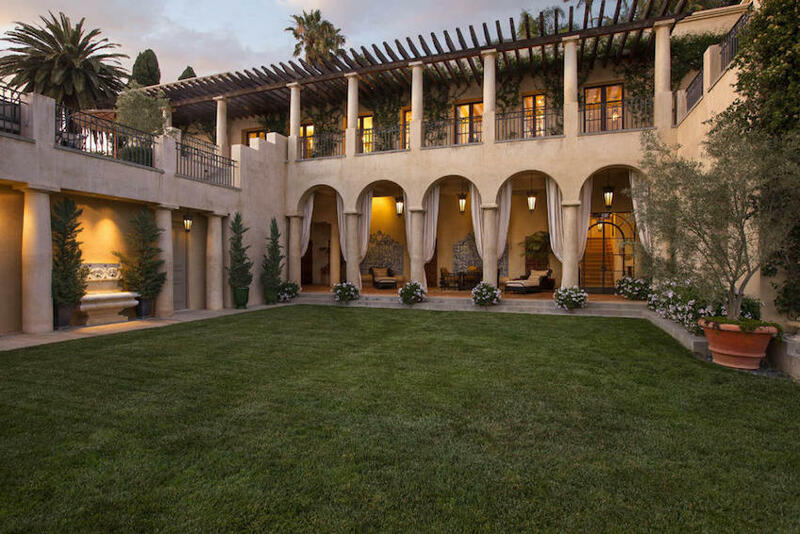 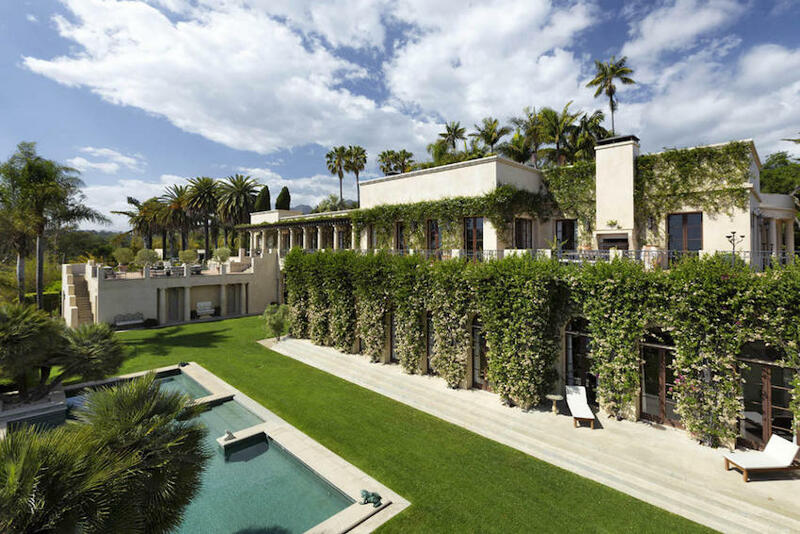 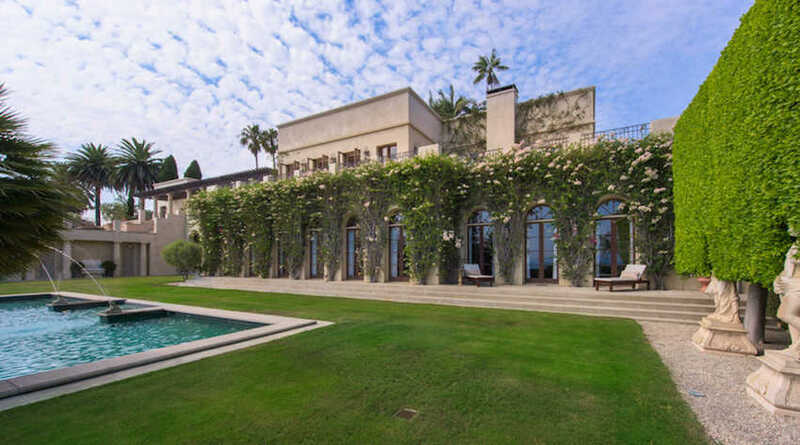 Villa Solana is on the market for $36,890,000 with The Agency.